The court notice comes at a time of heightened scrutiny for digital payment companies that have been asked to adhere to stringent regulations laid down by the central bank. Google claims that its payment application has 45 million monthly active users and is used across 3 lakh locations in the country. BENGALURU: The Delhi High Court on Wednesday sought an explanation from the Reserve Bank of India and search giant Google on how the American company can facilitate financial transactions in India without being authorised by the banking regulator. The court, was acting on a public interest litigation filed by one Abhijit Mishra, according to a report by the Press Trust of India. Mishra in his PIL has said that Google Pay is not enlisted by the RBI, as a certified authority under the Payments and Settlement Systems Act, 2007 and does not figure in the list of authorised “payment service operators” released by the central bank in March. Google Pay, the payment service that was first launched as Tez in September 2017, uses the government-backed Unified Payments Interface (UPI) as a railroad to settle transactions directly between bank accounts. It works with four banks including Axis Bank, ICICI Bank, State Bank of India and HDFC Bank to offer these services to retail consumers. “There is no requirement for licensing of these services under the prevailing statutory and regulatory provisions,” the company stated. 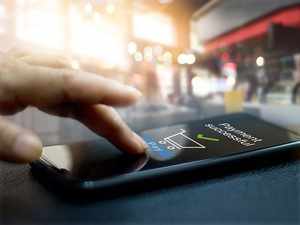 Digital payment companies have been directed to store all financial data pertaining to Indian users within the country, according to an RBI mandate issued in April 2018. The central bank had allowed companies time until October 15 2018 to comply with its directive. “In order to support our partner banks, our efforts in complying with the government's data localisation norms are underway, and given the scale and complexity, we are being mindful to prioritise data security and uninterrupted services to our users as we make this transition” Google said in the statement on Wednesday. “The central bank is apprised of the progress and we remain committed to complying with the laws of the land,” the company stated. RBI did not reply to ET’s queries on the development. Bankers aware of the issue told ET that as Google Pay is not offering a prepaid payment instrument (PPI) or a mobile wallet service in the country, it is not directly registered with the banking regulator. The RBI lists 82 payment providers on its website that offer different services ranging from ATM networks to bill payment classified as BBPS (Bharat Bill Payment Systems), clearing houses like NSDL, wallet operators like Oxigen, Mobikwik as well as international remittance players like Western Union and others. UPI-based payment services are not mentioned in this list.